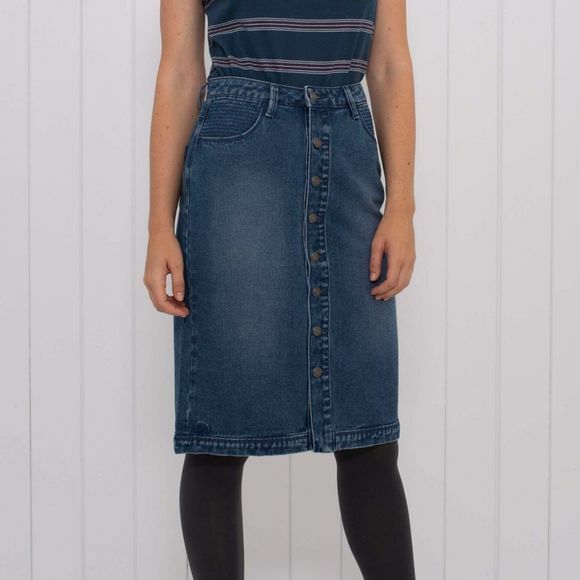 The Womens Long Denim Skirt from Brakeburn has a hint of vintage styling, perfect to pair with our range of tees, blouses and sweats for that effortless winter look. It also has a little added stretch for ease of movement and fit. Basically it's a winter wonder of a skirt!